Brain imaging detects signs of chronic inflammation in the brains of active and recently retired NFL athletes, years after reported concussions. Athletes with a history of concussions have signs of above-average inflammation in their brains that can be detected with a PET scan, according to a new study of active and recently retired NFL players. The athletes in the study, who were all less than 40 years old and had played in an NFL game within the last 12 years, reported an average of seven years since their last concussion. The athletes had no symptoms of brain deficits, but chronic inflammation in the brain may increase the risk of developing cognitive or emotional problems later in life. 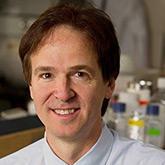 The research, reported November 28 in the journal JAMA Neurology, was led by 1997 NARSAD Young Investigator Martin G. Pomper, M.D., Ph.D., at Johns Hopkins School of Medicine. The research team included 2013 Young Investigator Grantee Jennifer Marie Coughlin, M.D. ; three-time NARSAD Grantee and Foundation Scientific Council Member Akira Sawa, M.D., Ph.D.; and two-time NARSAD Grantee Gwenn S. Smith, Ph.D., who are all at Johns Hopkins. Until recently, researchers were not able to assess inflammation in the brain until after death, so most of what is known about chronic brain inflammation and its effects has come from animal studies. But advances in imaging technology have made it possible to detect markers of inflammation with a non-invasive PET scan. The research team used PET imaging to determine the levels of a molecule called TSPO in the brains of study participants. TSPO is produced by the brain’s immune cells—the microglia—when they are activated by injury or infection. Microglia activation is important for repair and recovery during the acute phase after an injury, but the inflammation caused by the cells’ prolonged activation can disrupt brain function. Dr. Pomper and his colleagues used TSPO to assess inflammation in the brains of the study participants. They found that athletes in their study had significantly more TSPO in several brain regions than individuals in a control group, who had no history of brain injury. The study provides evidence linking concussive brain injuries to chronic inflammation. Longer-term studies will be needed to determine whether these changes are associated with neuropsychiatric symptoms later in life, and whether such complications might be prevented with treatments that reduce inflammation.